They say that imitation is the highest form of flattery, so I should feel honored today. My daughter saw this wall banner in our living room and wanted to make one for the play room. We decided to see what materials we had in the craft room to create her own design. This is what she came up with today. 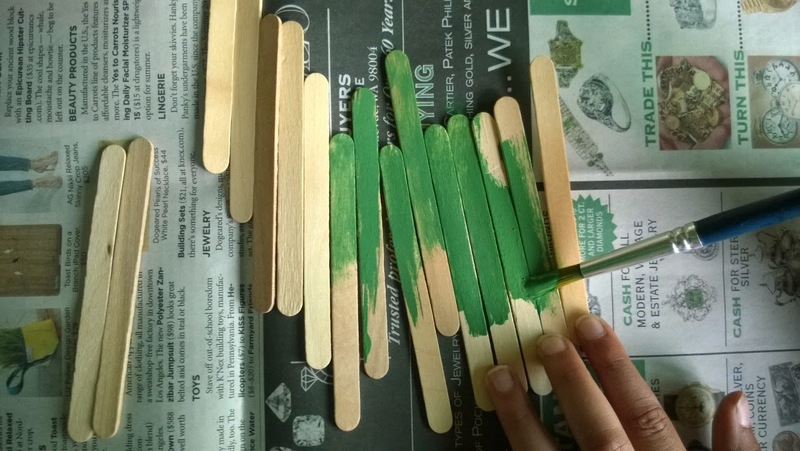 Lay out your craft sticks and paint them one color. Allow them to dry. Only do one side. 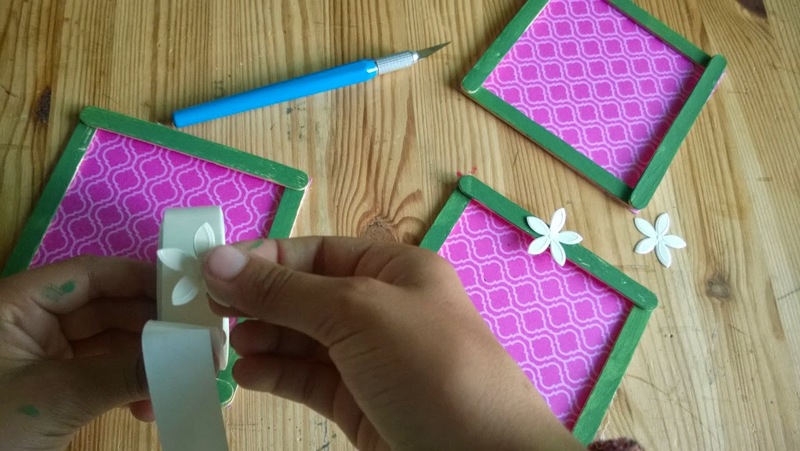 Make a square frame by placing glue dots on the underside of four craft sticks and add them togehter. Lay your frame on your printed paper and glue it down. 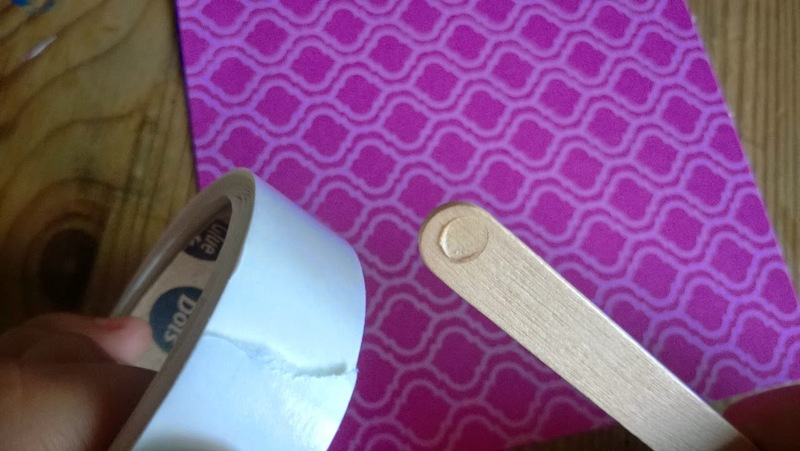 Use your Xacto to cut off the extra paper behind your frame. Add a flower to the top of each frame. 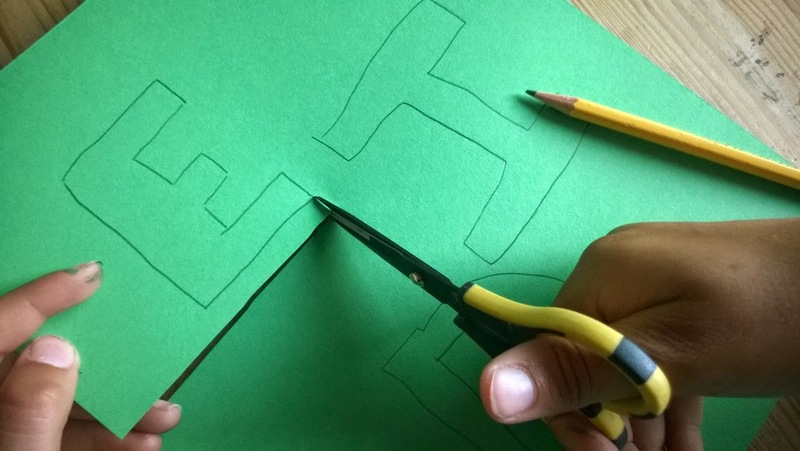 Write out the letters E I D in large letters on the solid cardstock and cut them out. 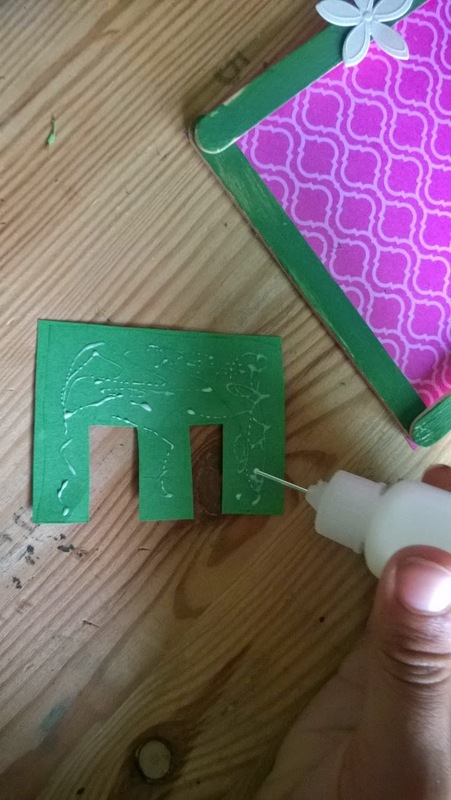 Add glue to the back of each letter and place it in the middle of your frame. 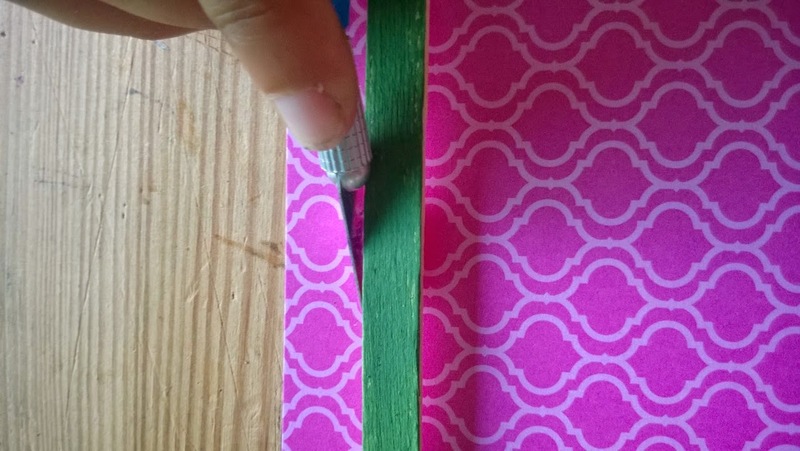 Cut your ribbon into a 40 inch strip and fold it in half. 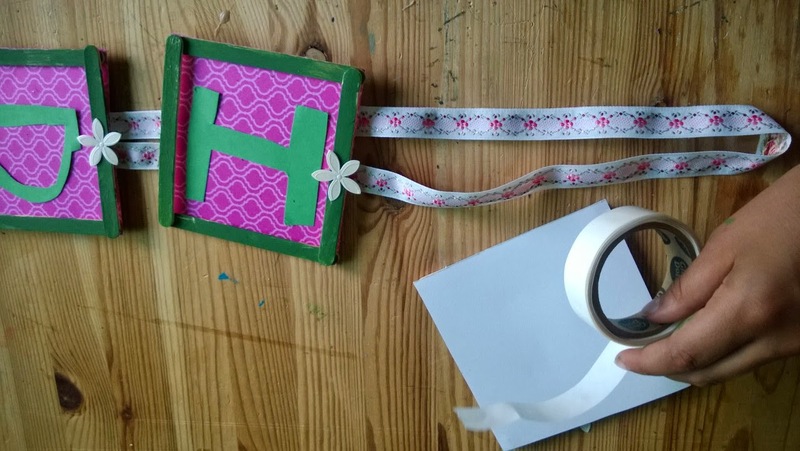 Lay out the framed letters over the ribbon and use the glue dots to secure them. Hang up your sign, you are done! 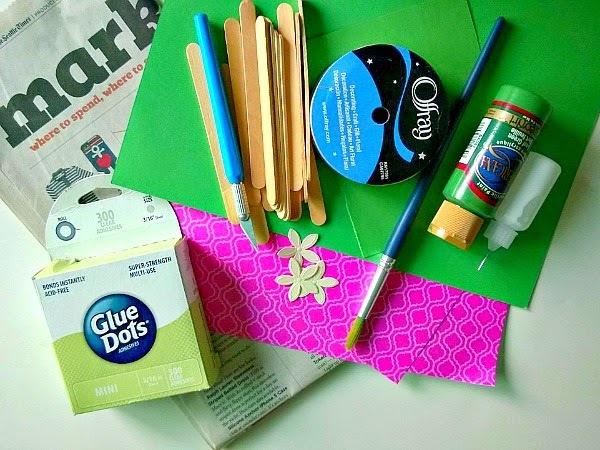 To try out more fun tutorials, stop by A Crafty Arab on Pinterest.